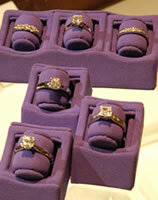 Diamonds sparkle and so does this gem of a jewelry store! Established in 1887 it is the oldest jewelry store of its kind in the NW and still being run by the 4th generation of family jewelers of the founder, George R. Dodson. 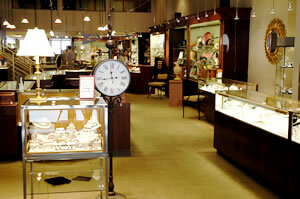 From the beginning Dodson's has carried the finest in jewelry, watches, and giftware. This "Store For Everyone" still tries to make it possible for people of all stations in life to acquire fine things, not necessarily costly, but items having character and lasting value. Dodson's high quality diamonds are hand picked by the store owners who travel to the diamond factory in South Africa themselves. These diamonds are cut to specific Dodson specifications with most being "ideal" cut and fashioned to extract the most brilliance. Dodson's association with the American Gem Society and the Gemological Institute of America attest to the highest standards of quality, trust and integrity in the industry. Besides fine quality diamonds, the store carries a large inventory of one of a kind estate jewelry pieces, watches, Waterford Crystal and Oggetti art glass. Porcelains from Fitz & Floyd are displayed with the beautiful porcelain sculpture of Lladro. 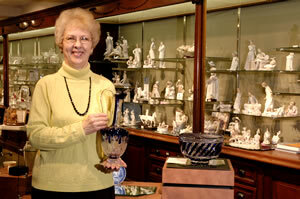 Dodson's is the only Authorized Lladro Privilege Dealer in the Inland Northwest, with all current collector and limited edition porcelains available. Come in and see over 100 sculptures in Dodson's Lladro Gallery! 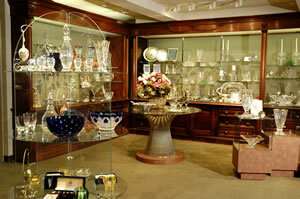 You can feel like royalty just viewing the exclusive Faberge Jeweled eggs! Dodson's features these jeweled masterpieces along with Faberge crystal gifts. These items were at one time only produced for the royalty of the world! A visit to Dodson's makes you feel like a King and Queen…surrounded by jewels and diamonds and waited upon by a attentive knowledgeable staff. "Spirit of Spokane" designs etched on fine crystal pieces.